Human error, careless behavior and lack of security inspections on internally-generated email are putting organizations at risk. 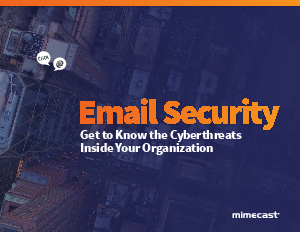 Basic, outside-in email security won’t provide the necessary protection for advanced tactics like the distribution of malware, malicious URLs or impersonation emails – all things that can quickly traverse an internal network with just one click. Check out this E-book to learn about the three riskiest internal threat actors and the key things you can do to combat internal threats.